I love this mat. I've been using thinner (3mm) mats, but I really like the thickness on this one. It contours to my movements, and I still feel a close connection to the ground. I haven't noticed any slipperiness at all, and I tend to sweat pretty heavily during my practice. I also love the length, I'm 6 feet tall and my feet have always gone off the edge in corpse pose. I followed the instructions and washed it when I first got it, and have been using it 3-4 times a week, and it's wonderful for yin and vigorous flow classes. I'm very pleased. Love everything about this mat - the extra length, thickness & color choices. I've only used a few times so far, but it's easy on my knees & no slippage. I did buy a new bag to compensate for the thickness which actually gives me extra room for my belt, sweatshirt, keys, phone, etc. The chair is great, as advertised and came on time, but the chair itself has a huge scratch in the paint. I'm sure I could have returned it, but the hassle involved in sending back a $30 chair wasn't worth it to me, that being said, it's unfortunate that the chair was deemed fit to sell, due to the lackluster paint job. 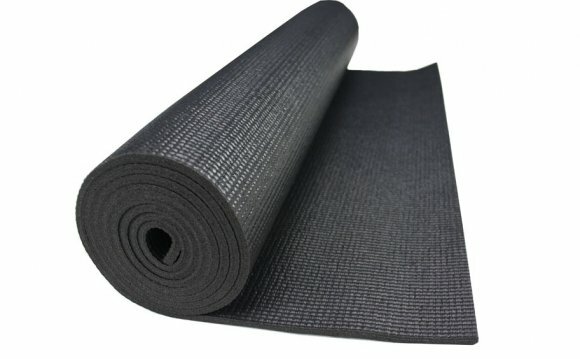 This mat is good for yoga.